I hope you enjoy your stay and make sure to drop me a line if you have any questions or just want to chat dogs. 2 litters are planned for later this summer and early fall. Please check out the litter page for more information. Xandor will be standing at Triton Kennels in Illinois with Tony and Trish Campbell. He will be available to select outside females at this time. Please contact either the Campbells or myself for information. Triton kennels has a very nice looking new litter sired by Xandor. Here they are at a couple of days old. 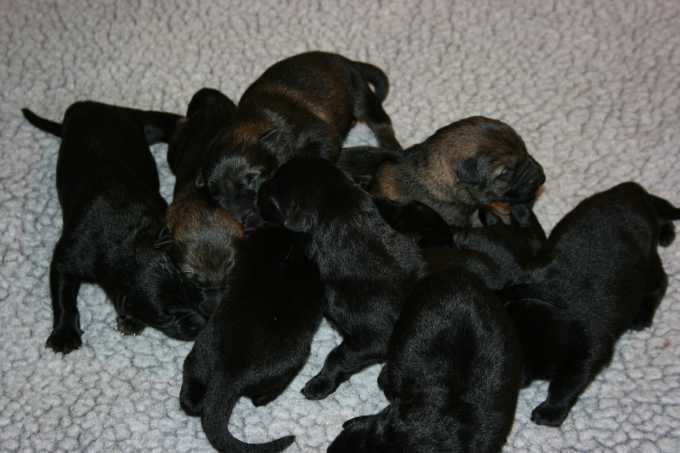 We are a small hobby kennel that is just starting our breeding program. I have spent approximately the last 3 years or so just studying pedigrees and training with young dogs that I own. I'm learning what I like and don't like in our wonderful breed and I hope to be able to help improve it in any small way possible. Please get in touch to offer comments and join our mailing list for litter updates and dogs for sale.